Smartphones have quickly transitioned from nice-to-have to must-have devices. It's nearly impossible to get through the day without calling, texting, emailing, scrolling through social networks, or playing games. We simply like to fulfill our free time with games that can be played on our phones or tablets. So if you are in a search for a new addiction, here’s one – called Tap and Smash. Get ready to join more than 985.000 users and experience the ultimate tap jump experience. The game has beautiful design, it is full of fantasy graphics, engaging sounds and sound effects and a challenging gameplay that will hook you up in no time. The Tap and Smash game is easy to play, but hard to master. You play with a triangle and you are controlling it by tapping on your screen. The triangle has to go up, but you have to keep it away from the harmful obstacles interfering in its way. There are other features, features that can engage you even more, such as catching the stars, getting a boost and collecting coins, exchanging them for various helpful power ups and entering the game’s store and getting even more powerful items. 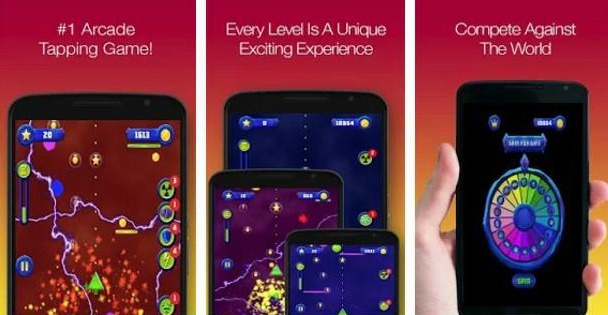 Play one of the most challenging and addictive games on your device, compete with other users, make high scores and check them within the online leaderboard. Download it today for free from the App Store or from Google Play.